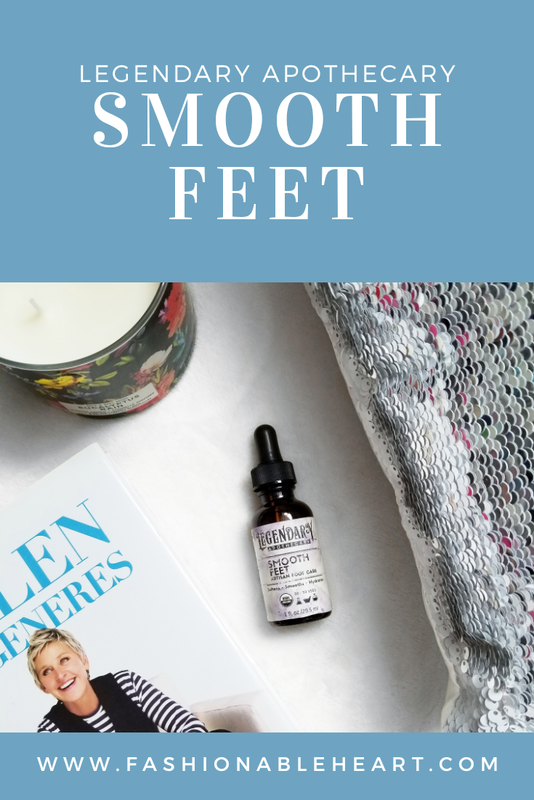 When given the chance to review this foot oil, I jumped at the opportunity. This year, one of my goals is to up my skincare game about the parts I neglect the most- feet being among them. As someone who lives in Toronto, I basically live in boots during the winter so something that will soften and hydrate my feet sounds like a savior. Honestly, I'm not sure if my feet go through more during boot season or sandal season! 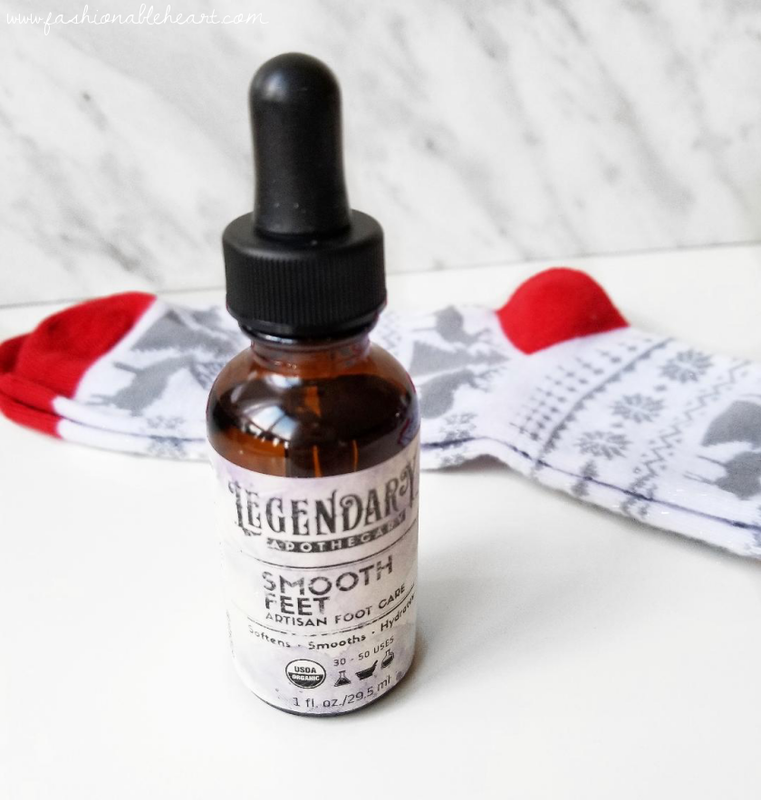 A company called Legendary Apothecary have created a product called Smooth Feet that promises those very things. And for the past month, I have put the oil to the test! First, let's find out more about the product and then I will delve into my thoughts. The recipe for this was actually passed down to the brand's co-creator Sara from her grandmother and apparently her family has been making it over four generations. Aren't those always the best types of recipes of any kind- the passed down ones? Being passed down so many years has paved the way for Sara and Todd, the other co-creator of Legendary Apothecary, to bottle it up and sell it to the masses. Everything is made in Los Angeles where the company is based. 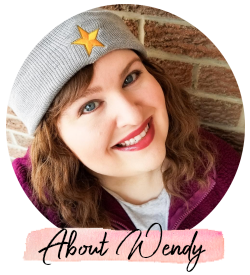 With eco-friendly packaging, USDA Certified Organic ingredients, and everything being completely cruelty-free and vegan, these are purchases you can feel good about. Their company is based on an all-round kindness approach, something the world can always use more of. Smooth Feet comes in a amber bottle with a dropper applicator. I love droppers. Seriously, there is just something about them. I don't know if it is because it makes me think of lab days in science (which everyone knows were the best days in science classes) class, or just because I love the ease of droppers. Each bottle promises 30-50 uses. You can use it every night, twice a week, or whenever you need it, so really a bottle can last you a good while. Mine is still going strong. 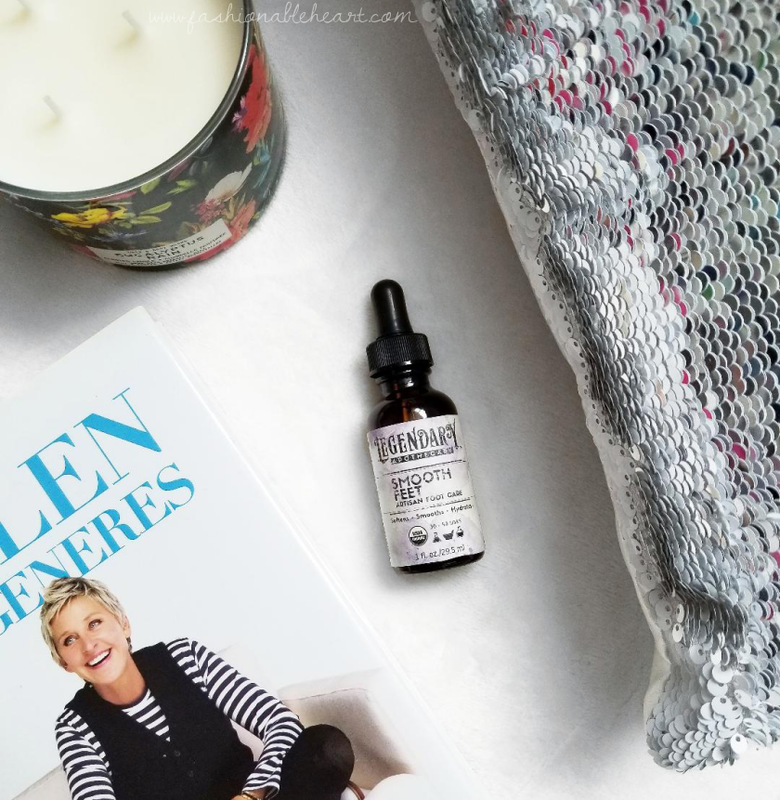 The ingredients include vegetable glycerin, pure lavender oil, and sugar cane alcohol. The glycerin attracts water from air and helps with moisture. The lavender has natural antioxidants and help clean and heal any cracks. Sugar cane alcohol acts as a preservative and does not dry out your skin. And with the lavender oil being so fragrant, that is exactly what the oil smells like. To apply, make sure your feet are clean and dry. Shake the bottle and massage one dropper's worth onto each foot. Let your feet air dry, because they will feel a bit stick while they dry. That goes away as soon as the oil sinks in. 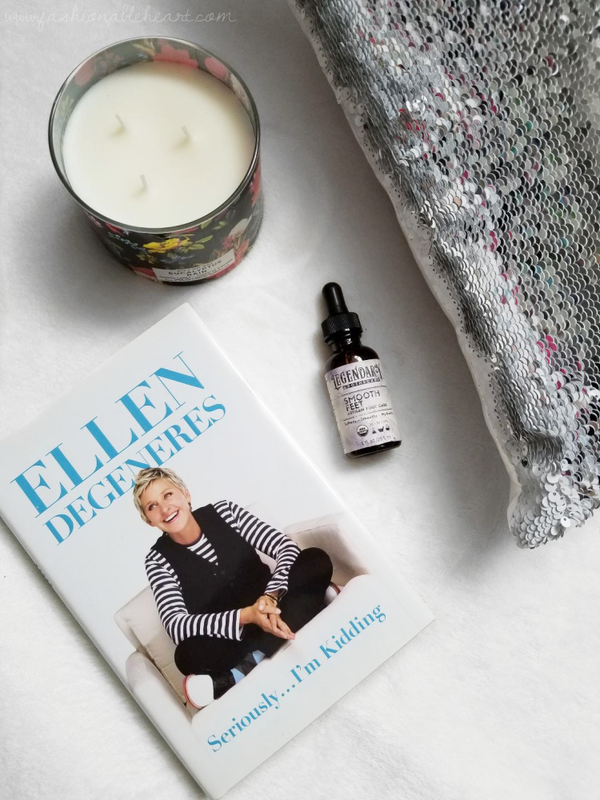 Lavender is one of my favorite scents and lavender oil is one of my favorite essential oils, so I went into this with high hopes based on the scent alone. Using this at bedtime is an easy addition to my nightly routine. The lavender works wonders at calming the senses and it's easy enough to let it air dry and do its magic overnight. I've used it both every night and just when I've needed it during the week. 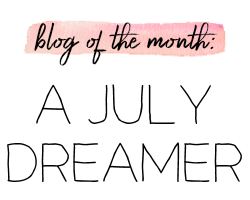 Having sensitive skin, I never once had an issue with regular nightly use. At the beginning, I think the nightly use helped get the ball rolling and then I slowed down my usage as I entered the maintenance period. My feet do feel smoother and there is less cracking at the heel area. I'm not as embarrassed to be in my bare feet. If I keep this up, I might actually want to bother to paint my toes and show off even though it's Winter and I have dubbed that specific activity as a summer chore. I'm really happy with how nice my feet feel, even after one use there is a difference. 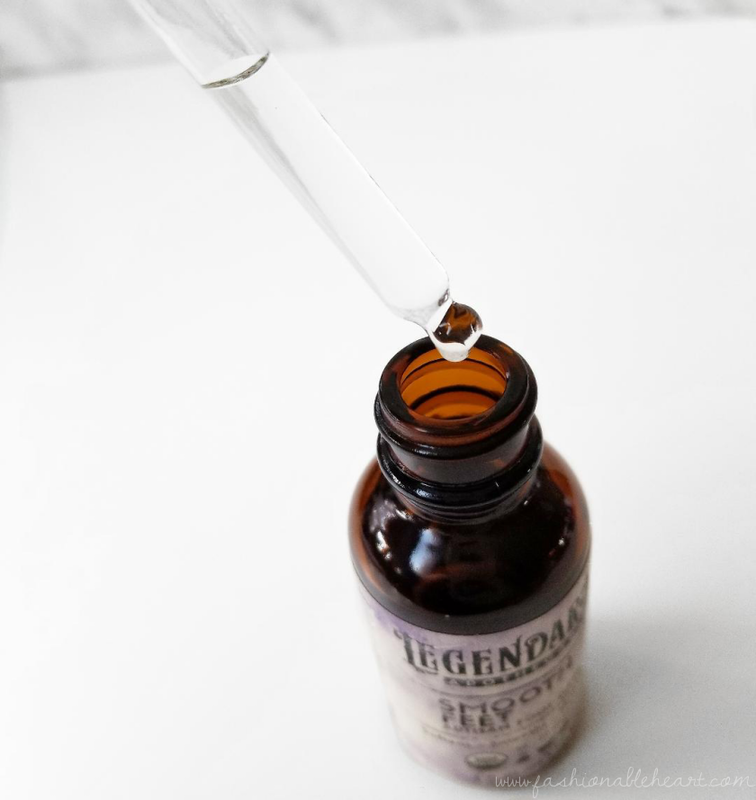 You can buy the product from the Legendary Apothecary website and it retails for $35 US for 1 Fl. oz. I believe this is the only product they offer right now and I'm excited to see what else they bring out. And if they don't, they have a solid winner with Smooth Feet! **This was provided to me for reviewing and testing purposes. All opinions and pictures are my own. There are no affiliate links in this post.